XINU stands for Xinu Is Not Unix -- although it shares concepts and even names with Unix, the internal design differs completely. Xinu is a small, elegant operating system that supports dynamic process creation, dynamic memory allocation, network communication, local and remote file systems, a shell, and device-independent I/O functions. The small size makes Xinu suitable for embedded environments. 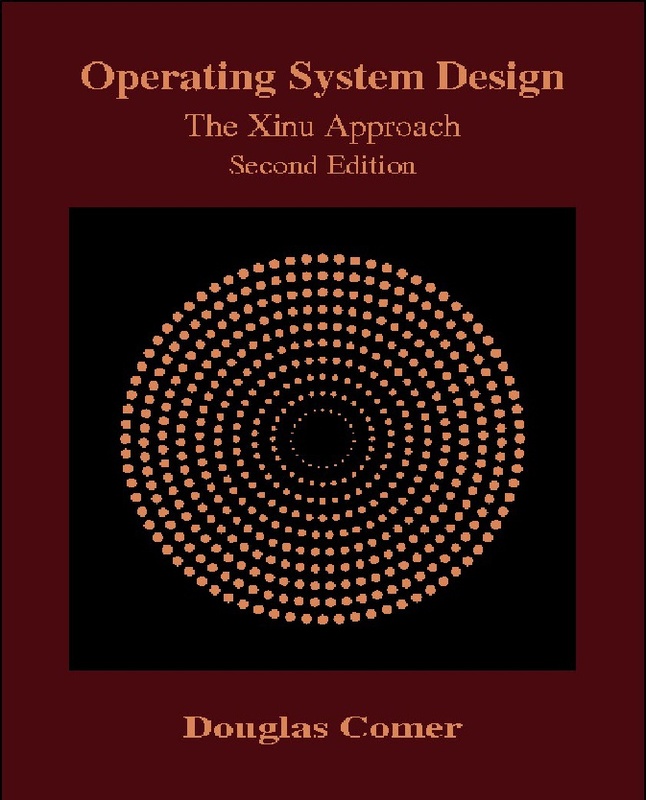 A completely revised and reorganized second edition of the textbook is now available D. Comer, Operating System Design - The Xinu Approach, Second Edition CRC Press, 2015. ISBN 9781498712439. Students port Xinu to variety of platforms Sun Microsystems workstation (SPARC), Apple Macintosh (Motorola 68000), Digital Equipment Corporation DecStation 3100 and VAX, and Transputer. Comer and Stevens publish a second volume of Comer's Internetworking textbook that explains protocol implementation. Various companies adopt Xinu and used it in their products. Mitsubishi used Xinu in a vehicle, Lexmark used Xinu in all printers through 2000, and Xinu as used pinball games. 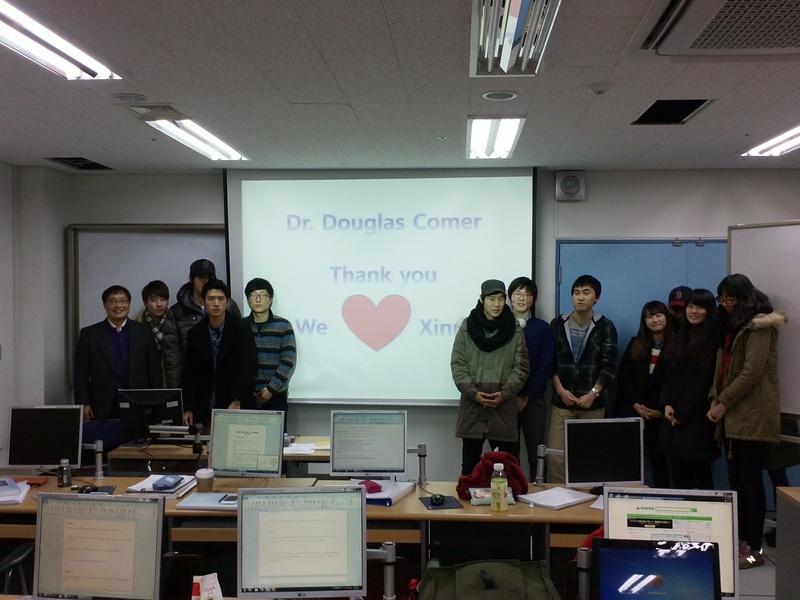 Comer publishes an updated version of the Xinu textbook that uses the new code in examples. With donations of 120 Galileo boards from Intel and acquisition of a few BeagleBone Black boards, the Xinu Lab at Purdue is completely redesigned and the downloading software rewritten. Comer publishes a second edition of the Xinu book with example code for both CISC (Intel x86) and RISC (ARM) platforms. The Xinu lab located in the Computer Science Department at Purdue University is used for both teaching and research. The lab is divided into a set of front-end machines (standard workstations running Linux) and a set of back-end machines (machines that are only used to download and test code). Each of the back-end machines has three connections: a connection to an Ethernet switch that provides access to the Internet, a connection to a rebooter device that can reboot the machine when needed, and a connection from the console serial port to a multiplexer. Software in the lab automates back-end allocation, download, and console interaction, making it easy for a student to compile an operating system image, allocate an unused back-end, establish a window that connects to the back-end console port, download the compiled image into the memory of the back-end, and run the image. The lab makes it easy for students to experiment with operating systems and protocol software. There are several versions of Xinu available for platforms such as an x86, ARM, and MIPS. In our lab, we use two computers for Xinu: a conventional computer used to compile a Xinu image, and second,, otherwise idle, back-end computer, into which we download and run the image. The second edition of the text contains code for both the Intel x86 (Galileo) and ARM Cortex 8 (BeagleBone Black), and the code is freely available. Either of the platforms is relatively inexpensive and available from commercial web sites. There are several ways to experiment. For the BeagleBone Black, the quickest was to get started involves using a serial cable. Connect the serial cable from the BBB to a PC, download a Xinu image over the serial cable, and then enter a command that causes the BBB to run the image. You can download a short list of instructions that explain the above in detail for the BeagleBone Black. For the Galileo, the quickest way to get started involves using an SD memory card and a serial cable. Connect the serial cable from the board to a PC (inexpensive cables are all that one needs). Run a terminal emulator, such as minicom to display the serial output in a window on the PC. Plug the SD card into the PC, compile Xinu and load the image onto the SD card. Unplug the SD card from the PC and plug it into the experimenter board. Boot the board, and use the console serial connection to boot the image from the SD card. Output from Xinu will be displayed over the serial line. The second way to experiment takes more time to set up, but allows one to recompile and download quickly once the pieces are in place. As described above, a serial line must be connected from the experimenter board to a PC. In addition, one must: connect a board to an Ethernet switch, connect a PC to the same switch, configure the board to boot over the network, and configure the PC to run DHCP and TFTP server processes that supply the information needed to boot. Once all the above has been set up, it is possible to compile Xinu, place the image in a file on the PC, and then power-cycle the experimenter board to boot the Xinu image automatically. We use this approach in the lab to enable a rapid edit-compile-download-test cycle. You can download a document that explains the above in detail for the Galileo board (both Generations 1 and 2). We enthusiastically endorse the two approaches above because they allow Xinu to run on real hardware and provide users with the best experience in designing systems. For situations in which users cannot afford an experimenter board or prefer not to touch real hardware, we have a version of Xinu that runs in a Virtual Machine (VM) environment, which means it can run on a conventional computer with no extra hardware. In fact, there are two VM versions: one for VMWare and one for Virtual Box. The Xinu code for the VMWare version is from the first edition of the text (porting the Virtual Box version from the second edition of the text to VMWare may be straightforward; so far, no one has volunteered to try). The Virtual Box version is based on code from the second edition of the text, but has a few differences. For example, because the emulated console uses port-mapped I/O instead of memory mapped I/O, the fetch and store operations on CSRs in the Xinu tty driver have been replaced by calls to macros that either generate port-mapped or memory mapped refernces (the macros are defined in io.h). Because the emulated Ethernet differs from the Galileo Ethernet, the Ethernet driver has been replaced. Finally, references to other memory-mapped functions have been replaced (e.g., the low-level PCI bus functions have been reverted to use the generic x86 version). Versions For The Second Edition Of The Text (the second edition was published in 2015). Note: the interrupt mechanisms in the x86 versions has been upgraded from the text to use a newer x86 interrupt controller. Tom Trebisky joined the Xinu project in 2016. Tom has been working with embedded hardware, including BeagleBone and Galileo boards. He created his own operating system, but we won't talk about that here. Tom has prepared some notes on booting Xinu on the BeagleBone Black and the use of uboot as well as notes on the Galileo and its performance. Tom's notes may be helpful in understanding how to set up Xinu and what to expect from the hardware. Click here to read Tom's notes on the BBB, and click here to read Tom's notes on the Galileo (note the link about performance). If your company has used Xinu in the past or is using Xinu at present, send a note to xinu-info@cs.purdue.edu and we will include your company in the list below. Barnard Software writes that they are using Xinu as a part of a product. Dave Peterson of Woodward.com writes that they have Xinu running on Engine control systems that control the large fuel on Gas/Steam Turbine and Gas/Diesel Engines. See the webpage woodward.com to appreciate that size of the turbines. Carolyn Scherrer of IBM writes that the design of IP, ARP and UDP code for Xinu has become a defacto industry standard, and requests permission to use it in a commercial product. Jean Labrosse reports that he created an operating system, MicroCOS, based on Xinu and the Xinu books. Frank Zimnik from MicroniK Multimedia in Germany) writes that they are using the Xinu TCP/IP stack in a digital TV set top box. Tom Uban writes that Williams Electronics Games has released a new generation of pinball machines in which a CRT is reflected onto the glass (partially mirrored) to give the illusion that the ball is interacting with the video image. The games run Xinu as the core. The first game "Revenge From Mars" was shown at the ATEI trade show in London, January 1999. The second game "Star Wars Episode I", was finished in time for the release of the movie. The system includes a complete TCP/IP stack as well as a telnet server and HTTP server, which when connected to a network allows the machine to be diagnosed and surfed for high scores, etc. The final system is loaded into a custom PCI board which contains 72 Mbytes of ROM space (code, image, and sound data) and 5Mbytes of FLASH for updates. Over 12,000 (combined) copies of the two game titles were produced at the time Tom wrote. Xinu is also used in "Pinball 2000" a multi-game platform developed by Williams. Tom McDermott writes that they are using Xinu in a spread-spectrum radio project. They ported Xinu to a homegrown Motorola 68360 processor. Metrolink, Inc. ported Xinu to the z80 and the M16c micro control uints. It was called IP works, and included a full UPnP stack. Raj Yavatkar writes that when Intel acquired Shiva Systems, he found that Shiva's OS is based on Xinu. Tom Uban of Williams Electronics Games, Inc. heads the operating system development team for electronic pinball machines. and decides to use Xinu. John Small reports that the City of Dallas has a homegrown operating system on their mainframe computer and has decided to use code from Xinu to support TCP/IP. Hugh Anderson working in Fiji develops a network 'sniffer' tool based on an SNMP agent developed from your original sources. Sheffer Clark of Novell writes to describe use of the Xinu protocol software to create a small IP stack used for sending dumps over a network to a file server. Shekhar at netscout.com write that that have been using the Xinu UDP/IP protocol stack in their SNMP Agent Devices for the previous three years. Rob Daniel of Hewlett-Packard writes to describe the use of Xinu TCP/IP code in an HP product. The product, called TCP/email, runs in user space on HP-UX 9000 series 700 and 800 workstations. Michael M Minor writes that Xinu was used at Los Alamos National Laboratory to implement a distributed data acquisition and control system (Minor ). The project began in 1983, but did not take off until 1984 when we discovered Xinu. The application required the implementation of numerous laboratory multi-channel analyzers used to collect gamma-ray data at an 8-MW research reactor facility. Several of the gamma-ray detectors and their corresponding multi-channel analyzers were used in an automated neutron activation analysis system requiring samples to be irradiated, transported, and counted under control of microprocessors running Xinu. We used Motorola 68000-series microprocessors in a VME-based environment on a local network shared with Sun Microsystems workstations. The project remained active for 10 years. Minor  Minor, Michael M. and Denton, Michael M., A Distributed Data Acquisition and Control System, Los Alamos National Laboratory Report, LA-UR-90-1496, Los Alamos, New Mexico, 1990. According to Stuart Anderson, the NCR Towerview X-Station (one of the first thin clients) ran Xinu on a Motorola 68000. NCR added a STREAMS subsystem and over the course of its lifetime, the system ran XNS, TCP/IP, and DECnet (the last two could be run concurrently). The system even had a full-featured NFS client, and the ability to download local apps, such as a window manager, to run on the device. Digital Equipment Corporation incorporated Xinu into a MIPS-based X windows terminal. If your university has used Xinu in the past or is using Xinu at present, send a note to xinu-info@cs.purdue.edu and we will include your university and the year you started using Xinu in the list below. Professor Donald Kim Information and Communication Engineering Department, Dongguk University, Seoul, South Korea See the class. See a note of thanks. Chris Chlap writes that he teaches "Wireless and Embedded Systems" at the University of Canberra in Australia in which he discusses small Operating Systems like Xinu. He hopes that we will be able to continue publishing excellent books. Richard Foss, at Rhodes University in South Africa writes that he has a distributed music system running under Xinu. He published an article in the Journal of the Audio Engineering Society in May 1996. "The Xinu book is the best operating systems book on the market because it removes the black magic and explains how to build an OS from the ground up. It's not like other books I tried to read -- they gave me a headache. I have already started telling friends how great it is."